I have been really intrigued by Annie Proulx’s descriptions and use of weather, and especially wind, in the short story. Wind seems to always appear at times when change or important scenes are about to take place. I am wondering if there are any patterns that anyone noticed related to wind or interpretations that you had. 2. “Ennis and Jack, the dogs, horses and mules, a thousand ewes and their lambs” ascend into the mountain’s flowery meadows and the “coursing, endless wind” as the summer on Brokeback in 1963 begins. 6. As Jack and Ennis descend from brokeback, the wind “combed the grass” and draws a “bestial drone” from the surrounding trees and rocks. 7. 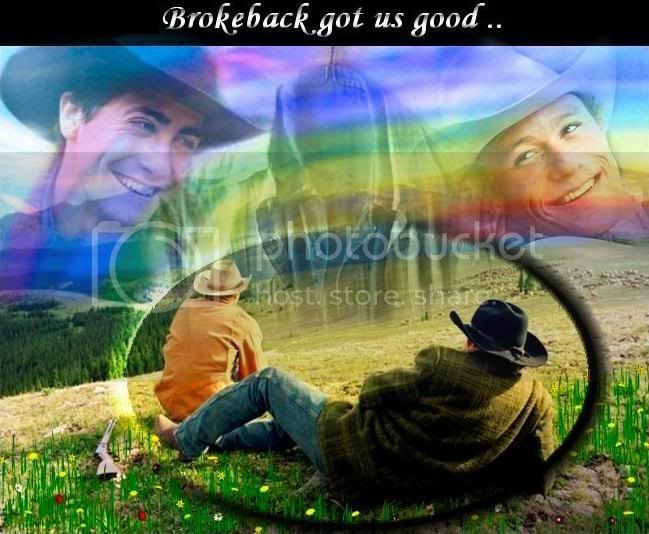 When Jack and Ennis have their final conversation before they part after the summer on Brokeback, the wind appears twice. First it is “gusting hard and cold” after Jack asks Ennis if he will return next summer, and then it “tumbles an empty feed bag down the street” after Ennis says he’ll see Jack around. Notably, when Jack and Ennis are apart until 1967, there is no mention of wind. Then, again, no more wind is mentioned as they are apart once more. What do you make of this? How do you interpret wind as a character and a symbol in this story? What about weather as a whole? It's a very good short story, I like it a lot, I hope to read another good story. I don't know if I've ever thought about the role that wind played in the narrative of the story before but you make me curious to see how it might strike me if I read it again now with that notion in mind. I'll try to find time this week. Thank you for sharing those passages.